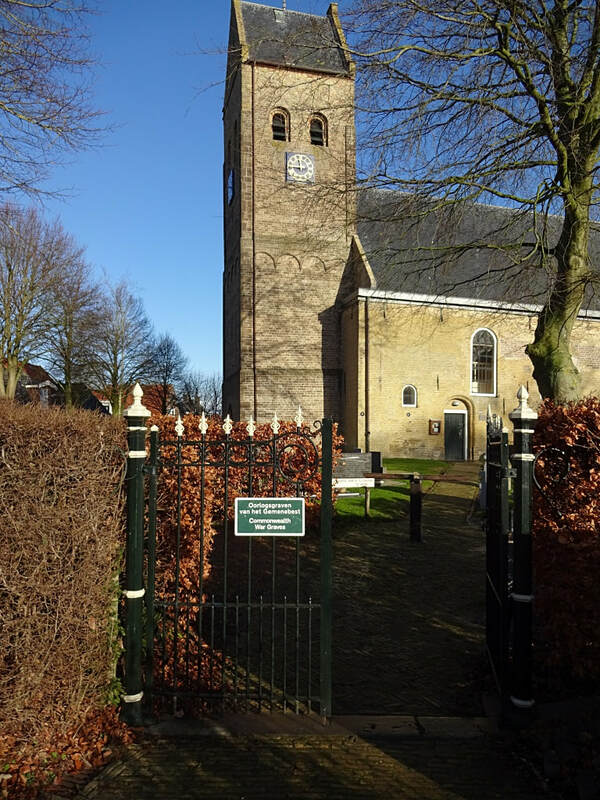 The village of Kimswerd, in the commune Wonseradeel, is 7 kilometres south-east of Harlingen. 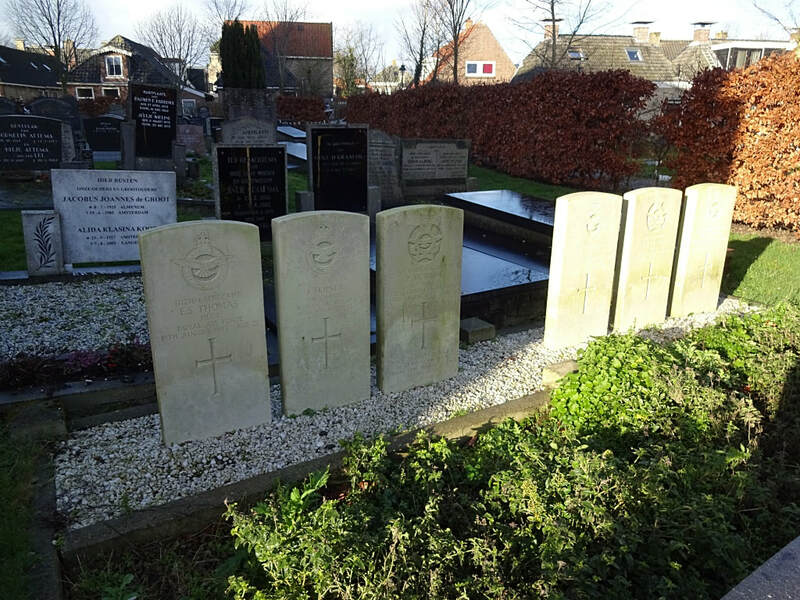 The Protestant churchyard is at the corner of Jan Timmerstraat, near the church, and the 6 war graves will be found behind the church. The churchyard is open every day from sunrise to sunset. 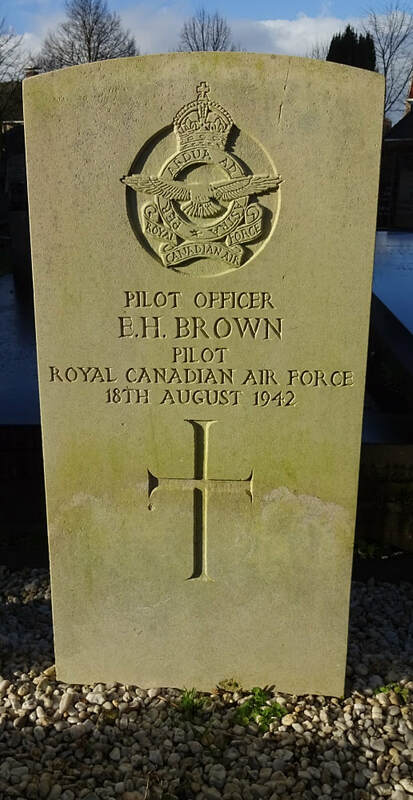 J/15685 Pilot Officer Earl Herbert Brown, Pilot in 101 Squadron, Royal Canadian Air Force, died 18th August 1942. 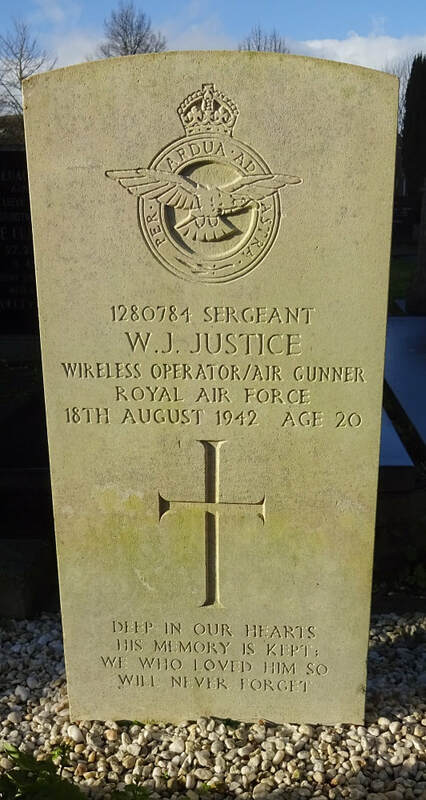 1280784 Sergeant William James Justice, Wireless Operator/Air Gunner in 101 Squadron, Royal Air Force Volunteer Reserve, died 18th August 1942, aged 20. Son of James Justice, and of Ivy Edith Justice, of Drayton, Norfolk. 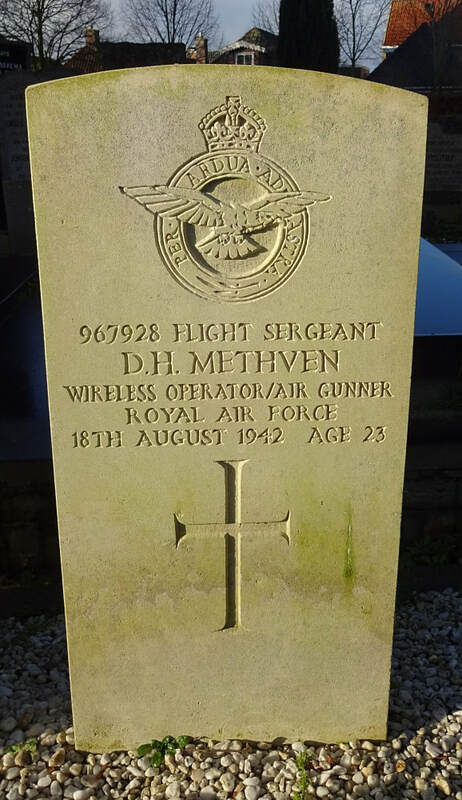 967928 Flight Sergeant Douglas Haig Methven, Wireless Operator/Air Gunner in 101 Squadron, Royal Air Force Volunteer Reserve, died 18th August 1942, aged 23. Son of James and Susanna Taylor Methven, of Edinburgh. 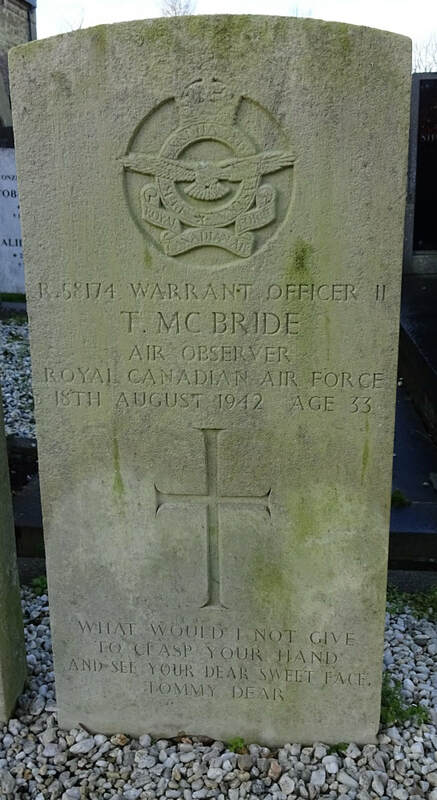 R/58174 Warrant Officer Thomas McBride, Air Observer in 101 Squadron, Royal Canadian Air Force, died 18th August 1942, aged 33. Son of Pte. 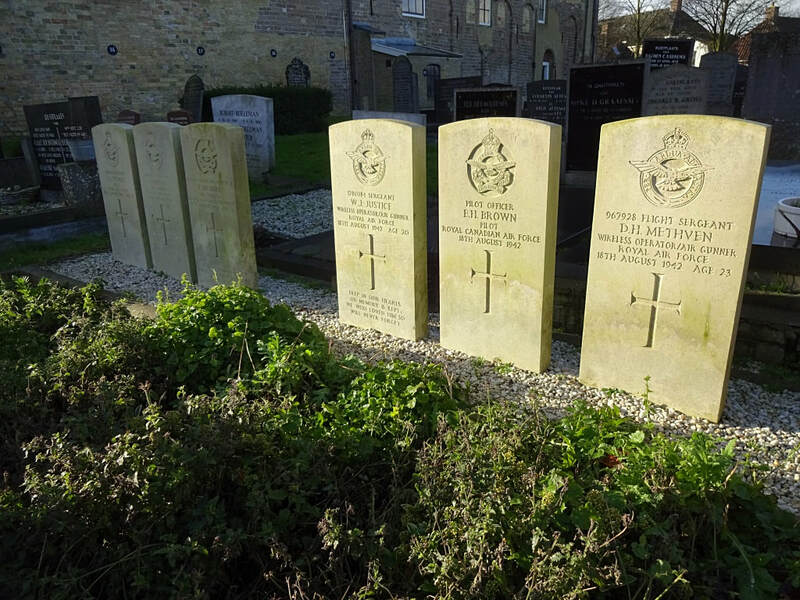 William Glover McBride, King's Own Scottish Borderers (killed in action in France 28th January, 1917), and of Helen McBride, of Vancouver, British Columbia, Canada. 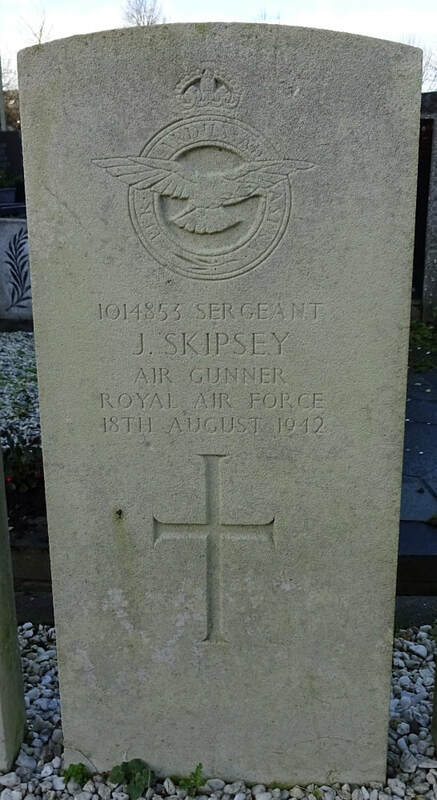 1014853 Sergeant John Skipsey, Air Gunner in 101 Squadron, Royal Air Force Volunteer Reserve, died 18th August 1942. 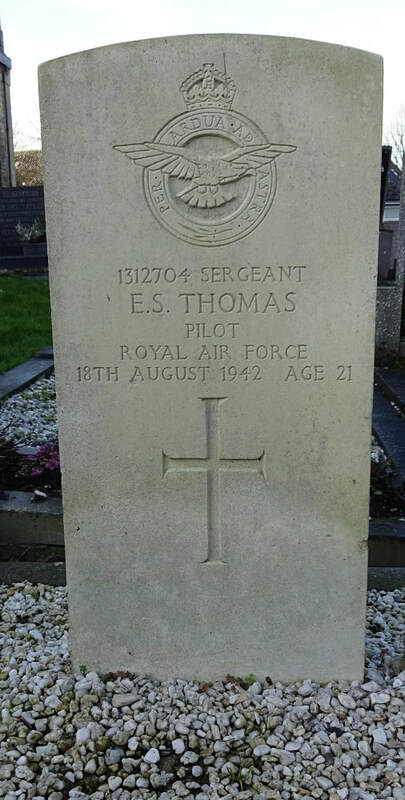 1312704 Sergeant Eugene Sydney Thomas, Pilot in 101 Squadron, Royal Air Force Volunteer Reserve, died 18th August 1942, aged 21. Son of Percy and Gertrude Thomas.